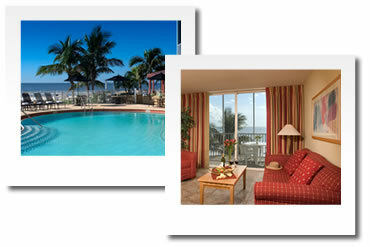 Holiday homes and condo rentals for rent in Fort Myers Beach and Sanibel Island, Florida. This is the area where the weather takes a tropical turn. 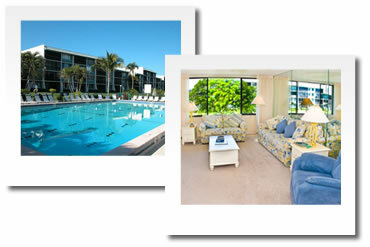 We offer accommodation on Fort Myers Beach and Sanibel Island. This is the perfect place to unwind and relax in the complete serenity of the Islands. It offers miles of undisturbed beaches, bike paths, boating, canoe routes, golf, walking trails, windsurfing and many more challenges for the adventurous vacationer. 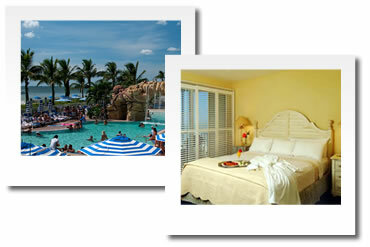 - The only full service all suite resort on Fort Myers Beach. - One bedroom suites directly on the beach. - All units have living room with sofa sleeper and separate bedroom, balcony, under-counter refrigerator and microwave. - Walking distance to restaurants and shops. - Trolley service to beach center. 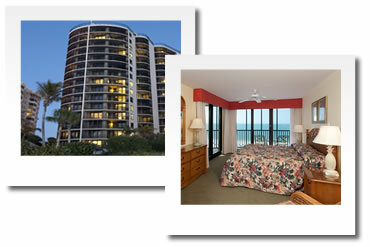 1 bedroom / 1 bath Gulf View (sleeps 4) - Rates from USD165 per night including taxes. - Luxury Condo Resort directly on the beach. - All units have fully equipped kitchens, washer and dryer and balconies. 2 bedroom / 2 bath (sleeps 6) - Rates from USD210 per night including taxes. 3 bedroom / 2 bath (sleeps 8) - Rates from USD270 per night including taxes. 1 bedroom / 1 bath(sleeps 4) - Rates from USD199 per night including taxes. 2 bedroom / 2 bath (sleeps 6) - Rates from USD208 per night including taxes. 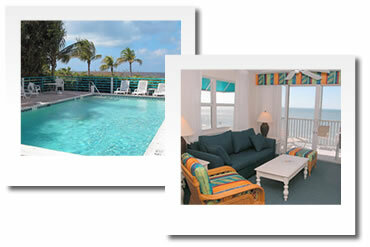 - 2 bedroom Beach Front Condos on Fort Myers Beach (North end close to beach center). - All units have fully equipped kitchens and balconies, some with washer and dryer. 2 bedroom / 2 bath (sleeps 6) - Rates from USD233 per night incl taxes based on 7 nights stay. - 2 bedroom condos on the beach with slight beach view. - All units have fully equipped kitchens and balconies. - 5 minute drive to restaurants and shops. 2 bedroom / 2 bath (sleeps 6) - Rates from USD146 per night incl taxes based on 7 nights stay. - Pink Shell Beach Resort & Spa is a four star resort with restaurants, bars, activities & spa. - Full resort service and unlimited entertainment options. - Perfect for families, as lot’s to do for everyone. - Walking distance to beach center. 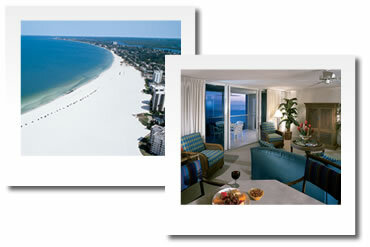 Deluxe gulf front studio (sleeps 4) - Rates from USD164 per night including tax and resort fee. One bedroom (sleeps 4) - Rates from USD247 including per night tax and resort fee. Two bedroom Beach Villa (sleeps 6) - Rates from USD324 per night including tax and resort fee. Two bedroom White Sands Villa (sleeps 8) - Rates from USD339 per night including tax and resort fee.